I would say that one of the things that makes me the most happy is preparing food for those I love, and sharing recipes/health tips with our community. It’s so special to me, especially when the person light’s up because they are enjoying the food and savoring every bite. Or when the information I give is helpful to brighten someone’s day. I love it. 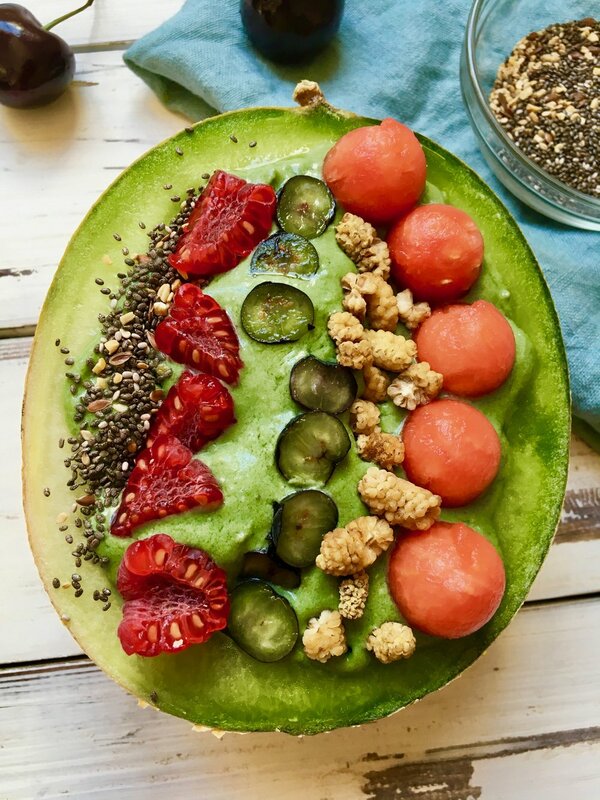 So, this delicious GREEN MELON NICECREAM BOWL is literally like having ice cream for breakfast. This is my pre-run fuel and it tastes so good. I hope you’ll enjoy it as much as I did. Blend away then add the toppings of your choice. Today I opted for watermelon, blueberries, raspberries, dried white mulberries (my fav) and chia seeds.